Wholesale Sock Deals has the latest trends in womens wholesale crew socks. You can find great patterns from argyle,colorful stripes and hearts to basic everyday styles like solid color boot liners and basic black and white crew socks. Choose from a wide variety of womens bulk thermal crew socks perfect for wearing with boots during the winter or keep warm with Women's Wholesale Fuzzy Crew Socks for wearing around the house. Wholesale Sock Deals carries wholesale rainboot liners, womens bulk merino wool crew socks and fun printed crew socks that show the perfect amount of sock when you wear boots. 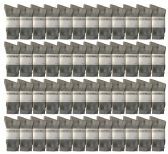 When you buy in bulk from wholesale sock deals you save money and get fast reliable shipping. Shop today and save. Wholesale Socks Deals is proud to offer our customers fast reliable shipping on hundreds of styles of womens bulk crew socks. We believe in giving back to our community and supply many homeless shelters, hospitals and health care centers with warm socks for the winter. 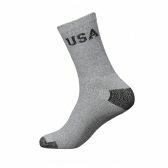 Shop today and get low bulk prices on hundreds of items from basic everyday crew socks to warm merino wool boot socks. 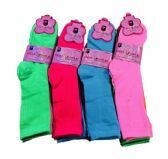 Wholesale Womens Crew Socks are a great promotional giveaway for parties, fundraisers and event planners.Shop now and save.